UD Trucks NWT Johannesburg, expect outstanding customer service. UD Trucks NWT Johannesburg, expect outstanding customer service. At UD Trucks NWT Johannesburg you can expect outstanding customer service in all aspects of our business. 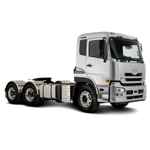 Our UD Trucks Sales division will assist you from start to finish with your every requirement. 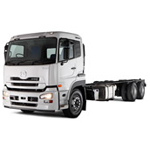 We are confident that with the range of UD trucks we have to offer will fit your every need required any business. Service quality is an inherent strength of our technicians and contributes to our long term relationships with our customers. Know your UD truck is in good hands with us. We recommend you make a small investment to routinely service each of your trucks by having extensive maintenance and repair work carried out when your vehicle is not in operation. Tips for your fleet. Genuine UD parts are a non-negotiable. Our facilities are well established along with our long standing supplier relations which can make all the difference in supply to our industry. We insist that all our Genuine Parts comply with manufacturer’s specifications and are subjected to extensive testing.